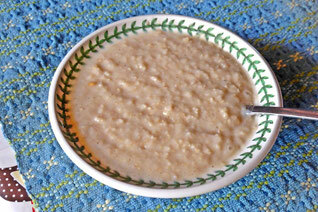 We are all long-term porridge eaters, and here we are, in the land of porridge! 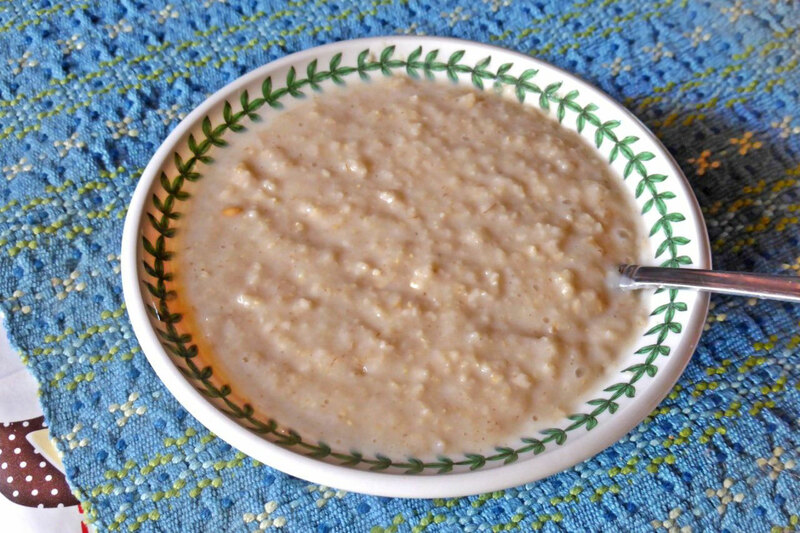 Much of the oats that's available in supermarkets in Scotland is foreign oats ground almost to dust so that it can be used to make instant microwaved porridge. However, there are one or two brands that are Scottish whole rolled oats, which makes much better, if not more time consuming, porridge. 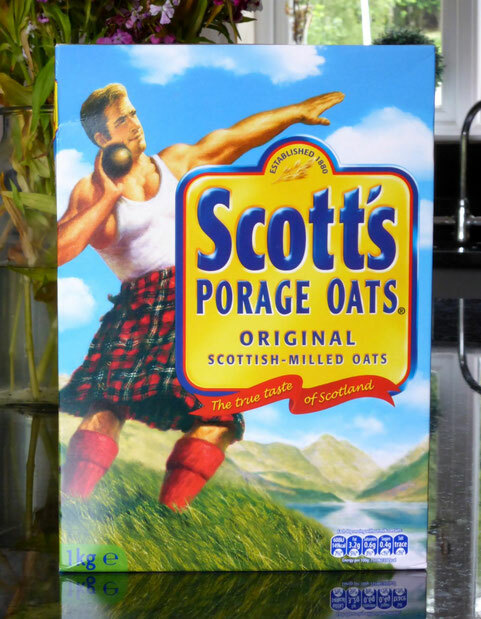 But the quality of the oats is not the only reason that we buy the brand that we use, which is Scott's; another reason, and probably the major reason, is the fabulous package design! Just look at that brawny, kilted young Scotsman with a hint of a placid smile on his face, serenely putting his shot from the ben into the loch, under that perfect blue sky and the blazing Scottish sun! I'm amazed there's not heather at his feet, and a grouse or two running around! Who wouldn't buy a box of oats that looks like that? Even with the strange (possibly original) spelling of 'porage'?